Because we believe that food is a celebration of life, an opportunity for families to get together, for friends to catch up, and the perfect setting too for closing that business deal, we took great care in designing and building the magnificent look of the restaurant with its traditional North African architecture and waterfall in the middle of the dining area, to give our guests a relaxing atmosphere. Diners at The Oasis St. Albans are offered a menu which covers many of the classics of Mediterranean and Middle East cooking. We have mezze platters to share, charcoal oven pizzas and fish, as well as dishes which lead with ingredients like traditional tagines, couscous and rice. Our menu also includes charcoal-grilled meats and vegetable dishes – our aim is to offer flavours from the regions for every kind of diner. 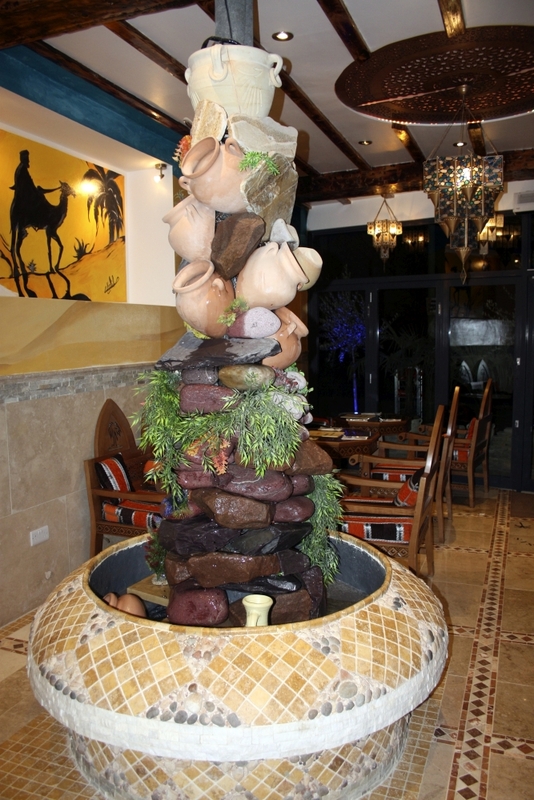 to discover the subtle flavours and nuances of food of the Mediterranean & Middle East at The Oasis St Albans.